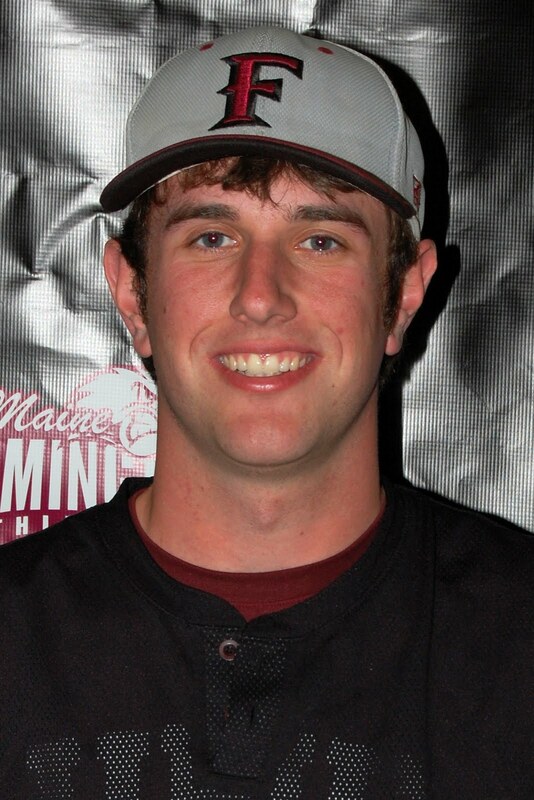 University of Maine at Farmington senior first baseman Josh Garneau (South Portland, Maine, pictured above right) was named to the All-North Eastern Athletic Conference East Division First Team as announced by the conference today. 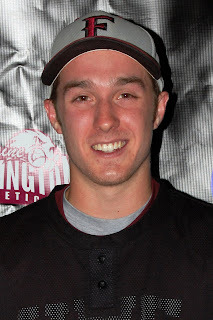 Garneau led the division with a .376 batting average and posted team-bests in doubles (4) and runs batted in (15). The first baseman also registered a .988 field percentage with just three errors in 251 chances. This past weekend, Garneau and junior catcher Jack MacVane (Mechanic Falls, Maine, pictured above left) were recognized on the NEAC East All-Tournament Team. This is the first all-conference selection for Garneau. As a sophomore, he was honored on the North Atlantic Conference All-Tournament Team. Husson University senior shortstop Ethan Guerette was honored as the NEAC East Player of the Year for the second straight season, while classmate Tom Crews received NEAC East Defensive Player of the Year for patrolling center field and freshman Cody McInnis was honored as the NEAC East Rookie of the Year. Greg King of Thomas College was feted as the NEAC East Coach of the Year. Lyndon State College received the Team Sportsmanship Award. The Beavers finished their 2011 season with a record of 5-26.